Kids benefit from a regular bedtime routine, which means turning in at a similar time each night. Start by helping your children wind down an hour before bedtime. Dim the lights, shut off any electronics, stop energetic play, and create a calming atmosphere. Gentle music, story-telling, and cuddling help children to relax, priming them for sleep. If your kids have excess energy, you’ll know it! They’ll be bouncing off the ceilings when you want them to go to bed. Ensure they exercise during the daytime, long before it’s time to hit the hay. Encourage playtime outdoors whenever possible; children move more when they have space. If they’re stuck inside, motivate them to exercise. Dancing, playing Nintendo Wii games, jumping, or skipping will decrease their energy. Of course, you want to be kind to your kids when they can’t sleep. Nonetheless, you don’t want to encourage them to stay awake by offering rewards. Don’t give them treats, such as sweet drinks and candies if they wake in the night. Also, try not to provide long cuddles; a quick hug is enough to show you care. Finally, don’t allow playtime to begin when your kids should be fast asleep. Calmly put them back to bed and tuck them in rather than making staying up worthwhile. Tell your kids they must go to bed in five minutes or they won’t get a bedtime story. If you don’t follow through, they’ll imagine they are in charge. Stick to rules, so it’s clear they are firm. Additionally, be consistent. Don’t tell your kids to go to bed at a certain time one night, then allow them to stay up another evening for no particular reason. Kids will get confused; they won’t understand how to behave well at bedtime. Using positive reinforcement is always more productive than negative consequences. One logical positive consequence could be to allow them to stay up later on Friday and Saturday if they go to bed on time during the school week. You can use other privileges as an encouragement. If you are using a point chart with them, add this as a way to earn points. Your kids will be tired and unhappy if they don’t get enough sleep. You may have inadvertently encouraged them to stay awake. Stick to a routine and help them wind down before bedtime. Ensure they exercise during the day and don’t reward them for being awake. 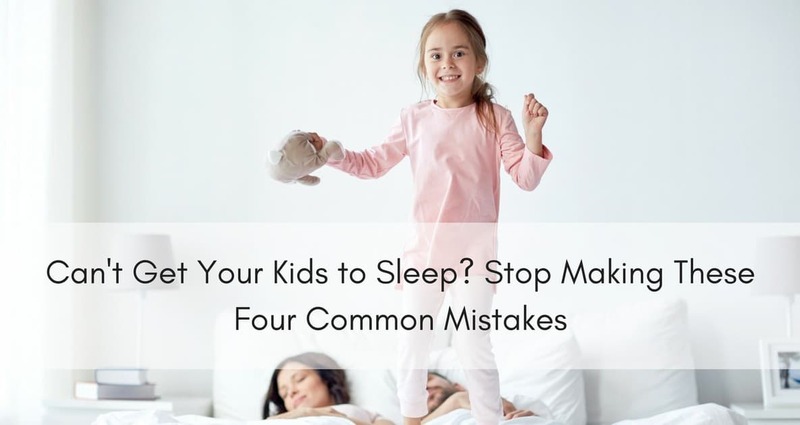 Also, be consistent with rules about going to bed, and your kids will find it’s easier to enter the Land of Nod.